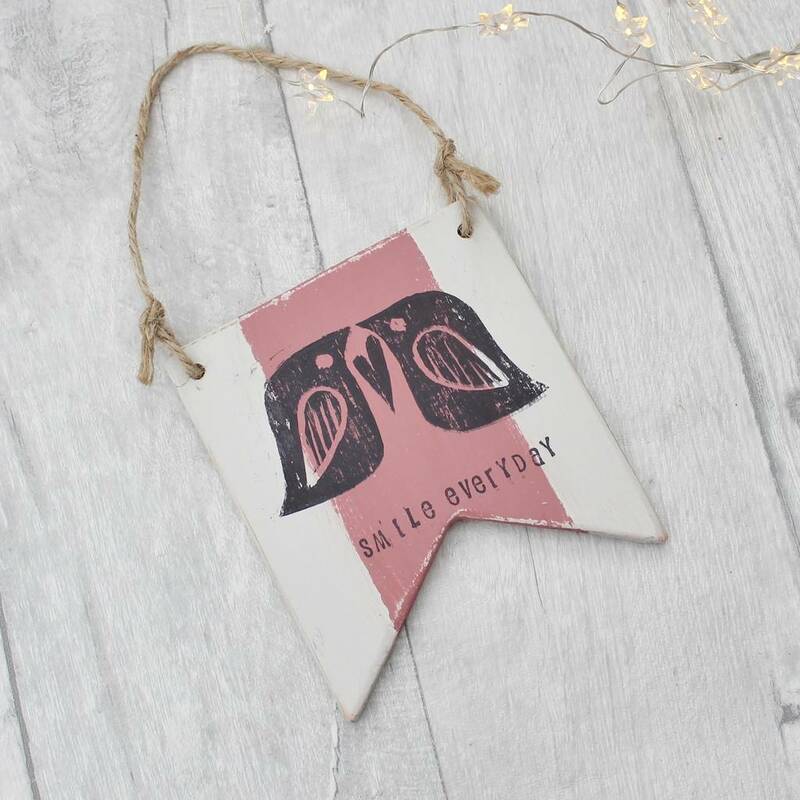 A Unique Wooden hanging sign with Love Birds design available to personalise with words of your choice. This would make a perfect sign for a wedding or a door sign or simply a decorative piece in the home witha slogan or name or your choosing. Hang it on a wall or door and be sure of a unique piece. Made from FSC assured wood. Available in a dusky pink but can be made in a multitude of colours if required simply message me. Perfect for a wedding couple or as a name plaque this sign is extremely versatile as it can me personalised with any words or name of your choice. 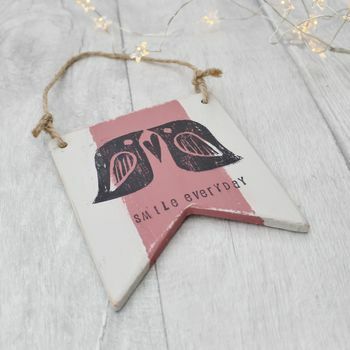 Hand cut, hand painted and hand printed from a lino cut stamp, for a unique and original gift. With rustic twine for hanging. Available in a rainbow of colours. 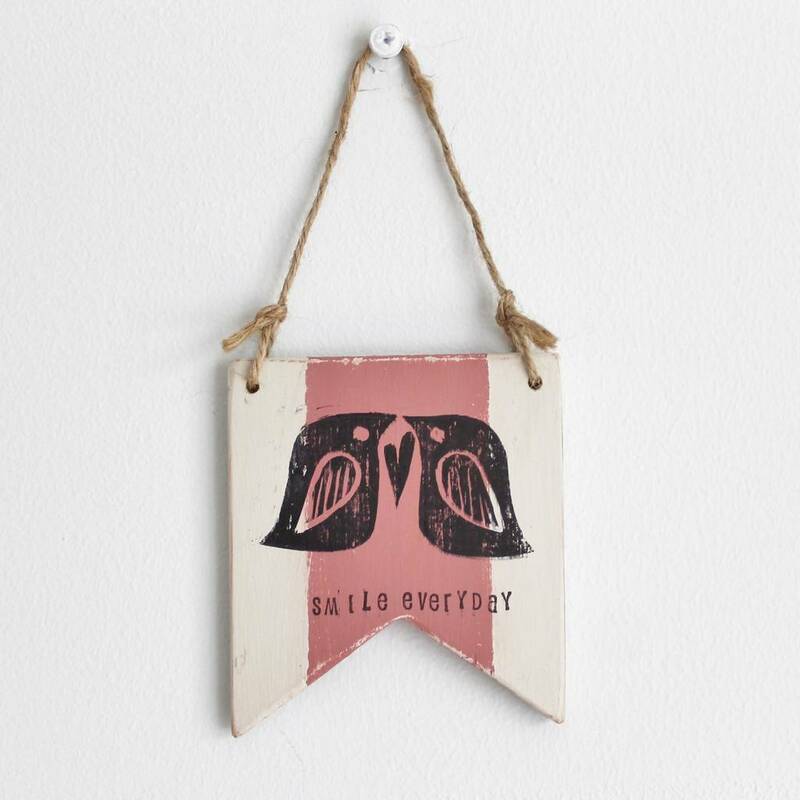 Postage is free within the U.K.
Made from wood, paint, ink and a matt varnish for durability.